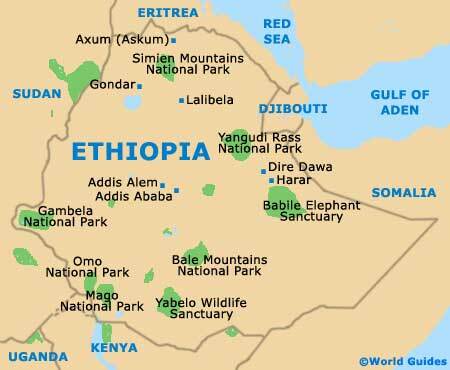 For most visitors to this African country, Addis Ababa is the first point of entry into Ethiopia. Founded by Emperor Menelik over a hundred years ago, today the city lies at the cultural and commercial heart of Ethiopia. The city of Addis Ababa also sits at the geographic centre of this fascinating, if often misunderstood, country, and has much to offer visitors in the way of both tourism and travel connections. Unlike many other African cities, Addis Abba was not built as a colonial settlement. Rather, it was chosen by Emperor Menelik II in the 1880s to be the permanent capital of Ethiopia. Unlike the temporary capital cities already tried and ruled out, Addis Abba had the potential for expansion. It also had a plentiful supply of wood for fuel. In 1936, the Italian invasion of Ethiopia by the Italian army marked a new phase in the city's history, the vestiges of which are still apparent in city architecture today. Lying at the foot of Mount Entoto, Addis Ababa may look like a modest-sized city. In fact, almost four million people live in Addis Ababa today. Like many African cities, it's a mix of fairly modern apartment and office blocks and traditional utilitarian-style housing. The city is crisscrossed with wide avenues and has quite a green feel to it, thanks to the eucalyptus trees which were brought to the city by Menelik II. There are certainly plenty of pleasantly shady places to rest whilst you're sightseeing. The city centre includes the Merkato and Piazza districts. 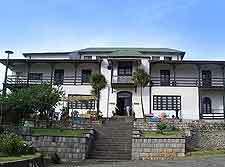 The latter has a distinctive Italian feel, a legacy of the Italian invasion of Ethiopia. Consequently, there are numerous Italian restaurants, as well as small cafes, and jewellery and book shops, and a few European-style shopping centre. The Merkato district is dominated by its vast open air market. 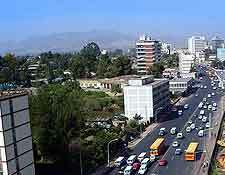 Outside of the city centre, in the south-east of Addis Ababa, is the Bole district. This neighbourhood is home to some of Ethiopia's wealthiest people as well as those connected to one of the hundred or so embassies and missions located in the city. 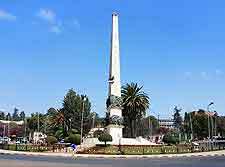 Addis Ababa is characterized by its numerous religious monuments, including St. George's Cathedral and Holy Trinity Cathedral. The city also boasts an impressive market, several interesting museums, and major monuments, such as the Lion of Judah Statue.